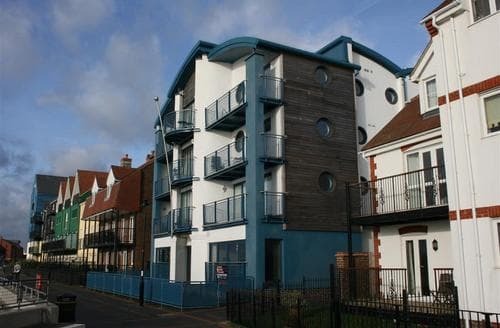 Found on the coast, just south of the South Downs, Littlehampton is a lovely place to enjoy the seaside. From relaxing to exploring further afield, Littlehampton ideal for a cottage holiday with friends or family. There are two beaches to choose from at Littlehampton, providing holidaymakers with a choice of where to enjoy a picnic or paddle in the sea. East Beach boasts being the longest beach in Britain, so even on a hot day, you might be able to find a spot of your own. Several events take place here throughout the year and there is a selection of varied places to eat out as well. If you want to venture further afield the beautiful South Downs are within easy reach. 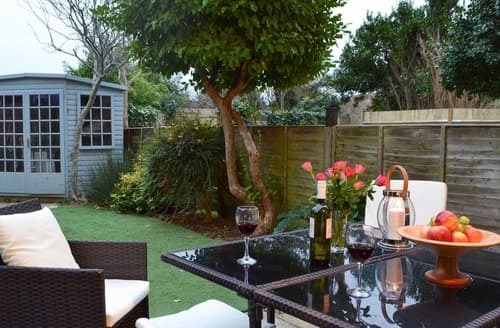 What our customers are saying about our Holiday Cottages In Littlehampton To Rent. "Upon arrival to the site we were extremely impressed, it is so well maintained and well kept with not a thing out of place. We checked in with ease and completed the necessary paperwork and were handed the keys to our lodge. We stayed in lodge number 2 which is an S110609with an outdoor hot tub. Every lodge has its own block paved parking area which is particularly handy for the winter months. 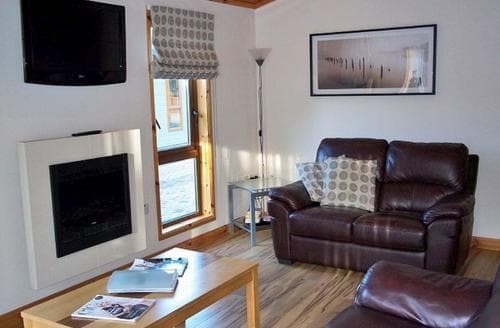 The lodge was immaculately clean inside and fully equipped with everything you could possibly need, it looks exactly like the pictures on the website! They had even put up a christmas tree which i thought was such a lovely touch.The master bedroom has double bed with bedside tables complete with lamps eitherside and a clock radio....the first place iv ever stayed with one as i personally hate not knowing the time when i wake up. There is a dressing table with drawer space and mirror with a hair dryer. It has a large wardrobe and shelving unit so plenty of room to unpack. There is also an ensuite shower room.The main bathroom consists of a bath (no overbath shower) which isnt an issue for a family. One thing we forgot to tell them is that the lock didnt work on the bathroom door but maybe they will read this! In the hallway by the front door is a washer drier, ironing board, hoover etc. Also coat hooks on the wall which is useful in the winter.The twin bedroom had a bedside table between the beds with a lamp and also a large wardrobe so again plenty of storage. The living area was very cosy with reclining sofa, wall mounted tv, plasma fire and coffee table. Behind the sofa is a dining table with doors opening onto the veranda.Finally the kitchen is very well equipped, it has a fridge and seperate freezer, dishwasher (tablets included) oven amd hob, every size pan and oven dishes that you could need along with every utensil you could think of. There were a selection of different size glasses and plenty of cutlery and crockery. They provide tea towels, washing up liquid, sponge and cloth. I had taken all of this with us after previous experience of self catering accommodation but didnt need to. Also all bed linen and towels were provided too. Everything you need is supplied!The lodge has its own decked veranda with outdoor furniture and the hot tub.....the reason that we booked! We spent many hours in it over the 4 days and it was so relaxing. We had a slight hiccup with it on the first day whereby we had pressed too many buttons and it stopped heating. I went to speak with Paul the warden who came straight over and reset it. We had discovered a button sequence that had put it to sleep.....just our luck! You only need to press the jet button as everything else is preset, just a little tip so noone else makes the same mistake we did. One improvement that could be made is to make the area around the hot tub abit more private/secluded as you can see the entire site meaning that everyone can also see you.....being close to the entrance we had people walking past having a nose when you are laying there trying to relax in your bathers. Our daughter loved the hot tub too and couldnt wait to get back in as soon as she got up in the morning!There is a pub called the oystercatcher just outside the site (you go through their carpark to enter the site) so was a minute walk. We went for a meal and a couple of drinks on new years eve which was really nice and reasonably priced. 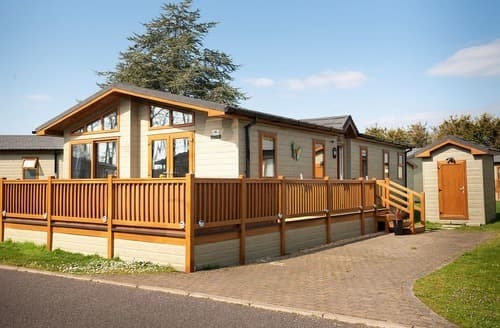 There is a large tesco about a 5 minute car ride away.All in all, the lodge was beautiful, exactly as the pictures on their website, immaculately clean and fully equipped complete with lovely hot tub. We will definately return and highly recommend it!!" "Upon arrival to the site we were extremely impressed, it is so well maintained and well kept with not a thing out of place. We checked in with ease and completed the necessary paperwork and were handed the keys to our lodge. We stayed in lodge number 2 which is an S110608with an outdoor hot tub. Every lodge has its own block paved parking area which is particularly handy for the winter months. 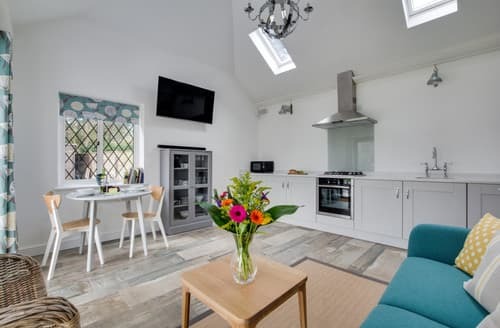 The lodge was immaculately clean inside and fully equipped with everything you could possibly need, it looks exactly like the pictures on the website! They had even put up a christmas tree which i thought was such a lovely touch.The master bedroom has double bed with bedside tables complete with lamps eitherside and a clock radio....the first place iv ever stayed with one as i personally hate not knowing the time when i wake up. There is a dressing table with drawer space and mirror with a hair dryer. It has a large wardrobe and shelving unit so plenty of room to unpack. There is also an ensuite shower room.The main bathroom consists of a bath (no overbath shower) which isnt an issue for a family. One thing we forgot to tell them is that the lock didnt work on the bathroom door but maybe they will read this! In the hallway by the front door is a washer drier, ironing board, hoover etc. Also coat hooks on the wall which is useful in the winter.The twin bedroom had a bedside table between the beds with a lamp and also a large wardrobe so again plenty of storage. The living area was very cosy with reclining sofa, wall mounted tv, plasma fire and coffee table. Behind the sofa is a dining table with doors opening onto the veranda.Finally the kitchen is very well equipped, it has a fridge and seperate freezer, dishwasher (tablets included) oven amd hob, every size pan and oven dishes that you could need along with every utensil you could think of. There were a selection of different size glasses and plenty of cutlery and crockery. They provide tea towels, washing up liquid, sponge and cloth. I had taken all of this with us after previous experience of self catering accommodation but didnt need to. Also all bed linen and towels were provided too. Everything you need is supplied!The lodge has its own decked veranda with outdoor furniture and the hot tub.....the reason that we booked! We spent many hours in it over the 4 days and it was so relaxing. We had a slight hiccup with it on the first day whereby we had pressed too many buttons and it stopped heating. I went to speak with Paul the warden who came straight over and reset it. We had discovered a button sequence that had put it to sleep.....just our luck! You only need to press the jet button as everything else is preset, just a little tip so noone else makes the same mistake we did. One improvement that could be made is to make the area around the hot tub abit more private/secluded as you can see the entire site meaning that everyone can also see you.....being close to the entrance we had people walking past having a nose when you are laying there trying to relax in your bathers. Our daughter loved the hot tub too and couldnt wait to get back in as soon as she got up in the morning!There is a pub called the oystercatcher just outside the site (you go through their carpark to enter the site) so was a minute walk. We went for a meal and a couple of drinks on new years eve which was really nice and reasonably priced. 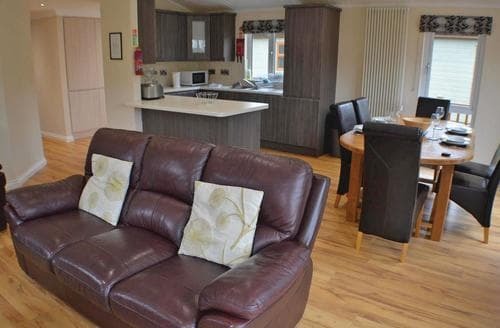 There is a large tesco about a 5 minute car ride away.All in all, the lodge was beautiful, exactly as the pictures on their website, immaculately clean and fully equipped complete with lovely hot tub. We will definately return and highly recommend it!!" "It's a good base from which to explore West Sussex. .We were made welcome by the hosts with special little extras such as cake and flowers for our arrival, which was a lovely surprise. We would definitely recommend staying here.Helpful, friendly owners. Suited our needs extremely well.This is a great spot to stay at. Close to many attractions, public transport is readily available if needed. All of the things that you need to self cater are present. There is a lovely outdoor space to enjoy. The apartment is very comfortable and spotlessly clean. The family who own the property were very helpful and kind. 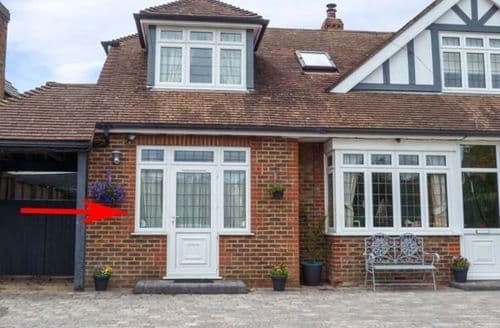 I can't think of anything that I didn't like about this property.A lovely holiday home, clean and well equipped. Kitchen small but has everything you need. Bathroom a bit of a squeeze if you are a well built 6'3" chap. The owners are lovely, very friendly and informative, without being intrusive. 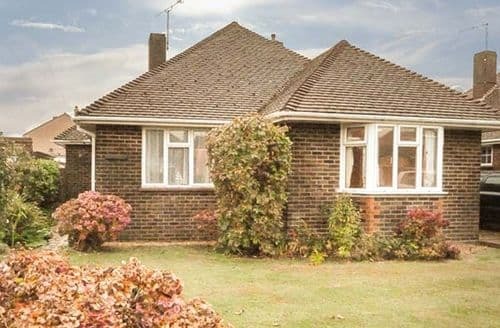 The property is well placed for visits to places of interest, and it is a pleasant 10 minute stroll to the beach and 5 minutes to local shops. I have already recommended this property to family and friends.We spent 3 nights in S3677e in February this year and found it to be very comfortable and convenienent. it was ex tremely well furnished and seemed to have everything one needed for a happy stay. The owner was charmong and had provided several useful items in the little kitchen area for immediate use such as coffee, tea, milk ,bread, and even asome home made cake in a tin.We would like to return and stay longer especially as they hope to enlarge the rear part to allow access to the garden. There is indeed some noise from the road, but this did not bother us, and we found the frequent bus services which pass ,to be very useful." "Helpful, friendly owners. Suited our needs extremely well.This is a great spot to stay at. Close to many attractions, public transport is readily available if needed. All of the things that you need to self cater are present. There is a lovely outdoor space to enjoy. The apartment is very comfortable and spotlessly clean. The family who own the property were very helpful and kind. 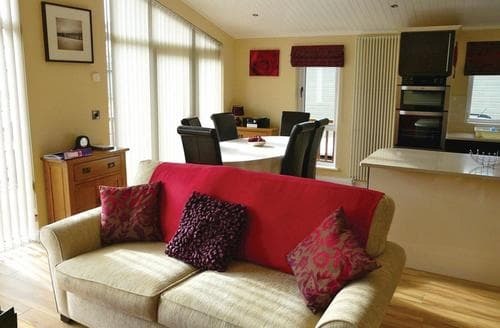 I can't think of anything that I didn't like about this property.A lovely holiday home, clean and well equipped. Kitchen small but has everything you need. Bathroom a bit of a squeeze if you are a well built 6'3" chap. The owners are lovely, very friendly and informative, without being intrusive. 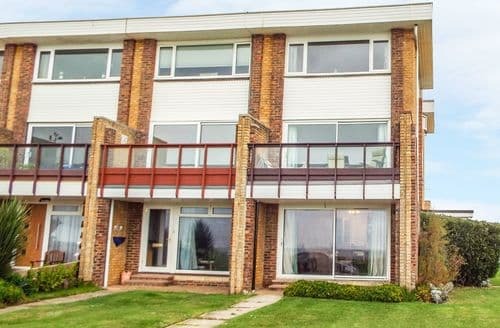 The property is well placed for visits to places of interest, and it is a pleasant 10 minute stroll to the beach and 5 minutes to local shops. I have already recommended this property to family and friends.We spent 3 nights in S3677e in February this year and found it to be very comfortable and convenienent. it was ex tremely well furnished and seemed to have everything one needed for a happy stay. The owner was charmong and had provided several useful items in the little kitchen area for immediate use such as coffee, tea, milk ,bread, and even asome home made cake in a tin.We would like to return and stay longer especially as they hope to enlarge the rear part to allow access to the garden. There is indeed some noise from the road, but this did not bother us, and we found the frequent bus services which pass ,to be very useful." "This is a great spot to stay at. Close to many attractions, public transport is readily available if needed. All of the things that you need to self cater are present. There is a lovely outdoor space to enjoy. The apartment is very comfortable and spotlessly clean. The family who own the property were very helpful and kind. 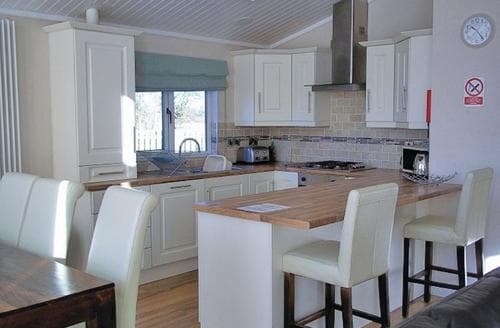 I can't think of anything that I didn't like about this property.A lovely holiday home, clean and well equipped. Kitchen small but has everything you need. Bathroom a bit of a squeeze if you are a well built 6'3" chap. The owners are lovely, very friendly and informative, without being intrusive. 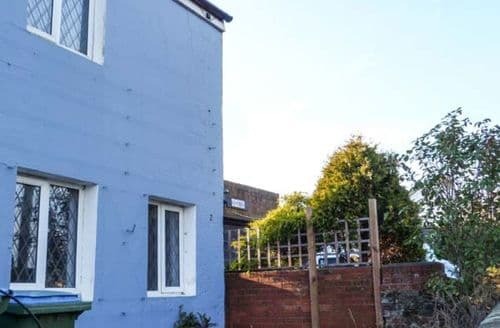 The property is well placed for visits to places of interest, and it is a pleasant 10 minute stroll to the beach and 5 minutes to local shops. I have already recommended this property to family and friends.We spent 3 nights in S3677e in February this year and found it to be very comfortable and convenienent. it was ex tremely well furnished and seemed to have everything one needed for a happy stay. The owner was charmong and had provided several useful items in the little kitchen area for immediate use such as coffee, tea, milk ,bread, and even asome home made cake in a tin.We would like to return and stay longer especially as they hope to enlarge the rear part to allow access to the garden. There is indeed some noise from the road, but this did not bother us, and we found the frequent bus services which pass ,to be very useful."